Children are unique and therefore we are aware that each individual progresses at a different rate. We recognise children all have different interests, talents, abilities and aspirations. Our staff take account of this in the way they plan and teach high quality learning experiences, support and assess our children. Teachers use a range of assessment strategies daily alongside half termly assessments to monitor children’s progress. Children who make slower progress or have particular difficulties in an area are given extra support by the teacher or TA where necessary. St William of York is committed to providing an appropriate and high quality education to all the children within our school. We believe that all children, including those identified as having special educational needs have a common entitlement to a broad and balanced academic and social curriculum, which is accessible to them. We equally value all pupils in the school and strive to eliminate prejudice and discrimination thereby developing an environment where all children flourish and feel safe. At St. William’s we are committed to inclusion. We strategically plan for improvement ensuring a sense of community and belonging, which offers new opportunities to learners who may have experienced previous difficulties. This does not mean that we treat all learners in the same way, but that we respond to learners in ways which take account of their varied life experiences and needs. It is important not to assume, just because your child is making slower progress than you expected or teachers are providing different support, help or activities in class, that your child has special educational needs. Teachers strive to bridge gaps in children’s learning on a daily basis and as a school we are able to provide smaller group work on a regular basis to support this. The Special Educational Needs and Disability (SEND) Code of Practice: for 0 to 25 years (Statutory guidance for organisations who work with and support children and young people with SEN), is the document which gives guidance on increasing options and improving provision for children and young people with Special Educational Needs. 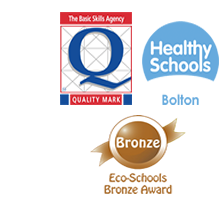 All Bolton Local Authority (LA) maintained schools have a similar approach to meeting the needs of pupils with Special Educational Needs and are supported by the LA to ensure that all pupils, regardless of their specific needs, make the best possible progress in school. Following the publication of The Children and Families Act in 2014, Local Authorities and schools are required to publish and keep under review information about services they expect to be available for the children and young people with Special Educational Needs and Disability (SEND) aged 0-25. This is the ‘Local Offer’.